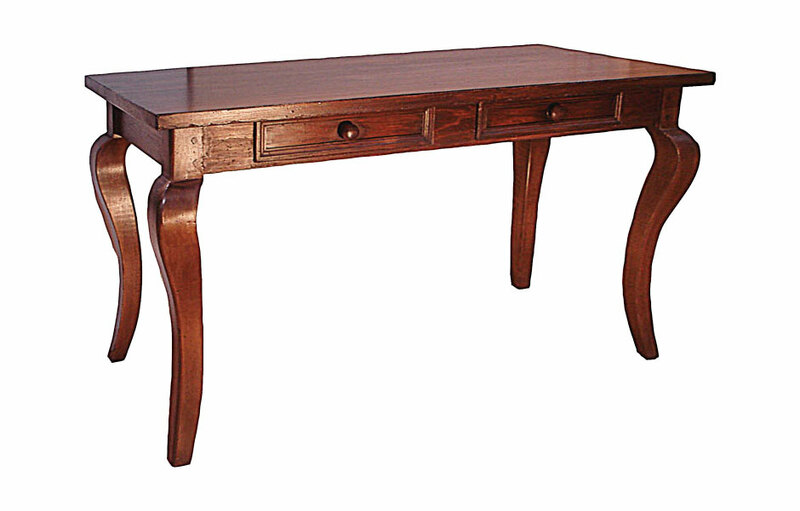 The Cabriole Leg Writing Table is a Provincial-style writing table that features french-style Cabriole legs and comes with two drawers with either wood knobs or metal ring pulls. This writing desk is perfect for work-from-home professionals and students. The Cabriole Leg Writing Desk was traditionally a sign of affluence among the French aristocracy representing a well-educated person. Louis XVI brought writing tables with cabriole legs to the forefront of high-style. Today, writing desks serve as highly-stylish and functional workstations in home offices. The desk's solid wood top provides ample work surface for a laptop or desktop computer, and mobile devices. 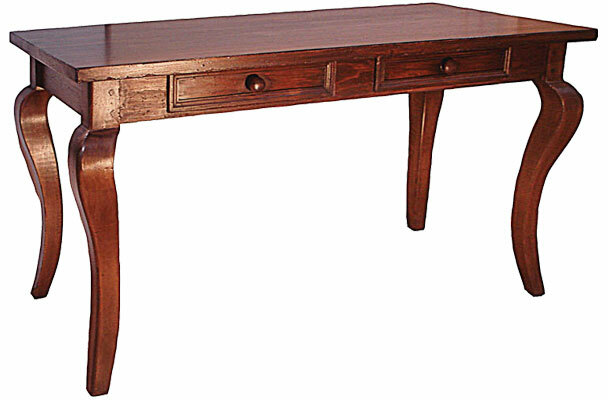 The computer desk adds French country elegance to an office space with its uniquely Provincial cabriole contoured legs. The storage drawers are highlighted with metal ring pulls to complete the French style. The storage drawers provide ample room for the pens, paper, and all the necessary office supplies. The solid wood top gives users plenty of work surface for a laptop, or desktop computer, phone and lamp. 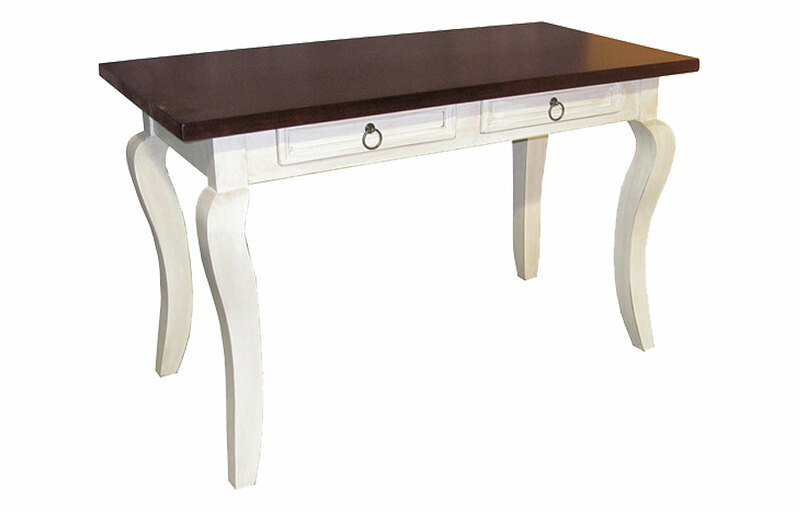 The contoured, hardwood legs add elegance and Neo-classical french-style to the small desk. The petite size desk is perfect for a bedroom, hallway, kitchen or nook. The Cabriole Leg Writing Table is also a great kids or student desk for long nights of homework. It's the perfect small table for everyday tasks—paying bills, sending emails, and writing blog posts. The Cabriole Leg Writing Table complements French Country, English Cottage, Farmhouse, Rustic, Transitional and Traditional style decors.